Shorty's Sutures: Two Days Until BWE Blast Off! Last year she asked me to be her Maid of Honor (excuse me, Matron.... but I hate calling myself that), which meant that I had to cruise into uncharted waters and find out what my responsibilities were. One of those duties was planning the big girl's night out. 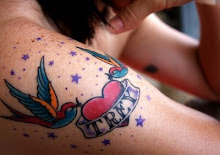 But, as many young brides-to-be are opting for these days, more than just one night of excitement is being called for. It's more like an entire weekend. This caused the intimidation factor to go way up for me. I'm not a party planner, much less a weekend event planner, so I'm naturally lacking for ideas when it comes to these sorts of things. Fortunately for me, my lil' sis loves to be part of the planning side of things. She emailed me ideas to get me rolling. 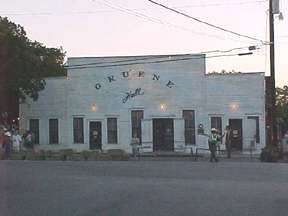 I settled on a little town called Gruene, Texas which is one of those little historic spots that has been groomed for tourism. We'll be staying within walking distance of just about all that we plan to do. I'm rather excited about this since I won't have to play designated driver the entire weekend. I'm thinking things will be rather low key compared to other Bachelorette parties. My sister wanted to keep things on the classy side, so I don't think we'll have to worry about embarrassing photos making it onto the Internet. I didn't arrange for any men to jump out of cakes or uniformed servicemen to disrobe for her viewing pleasure. Hopefully she won't be disappointed. Stay tuned for a super cute party favor idea that I included in the gift bags for the ladies who will be joining us this weekend!